Oregon train rides define the Pacific Northwest with rugged mountain views, trips along rocky shorelines, and soggy weather. Despite the climate not always being cooperative, Oregon's scenery is second-to-none! 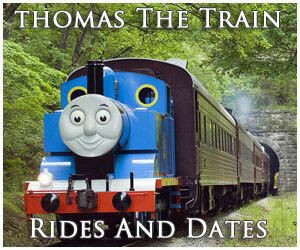 It is well worth a visit, either by train or motorized vehicle! Take, for instance, the Mount Hood Railroad; this attraction is one of the more popular tourist railroads in the country thanks to its breathtaking views of legendary Mt. Hood. At a height of 11,249 feet, this natural wonder is Oregon's tallest mountain. 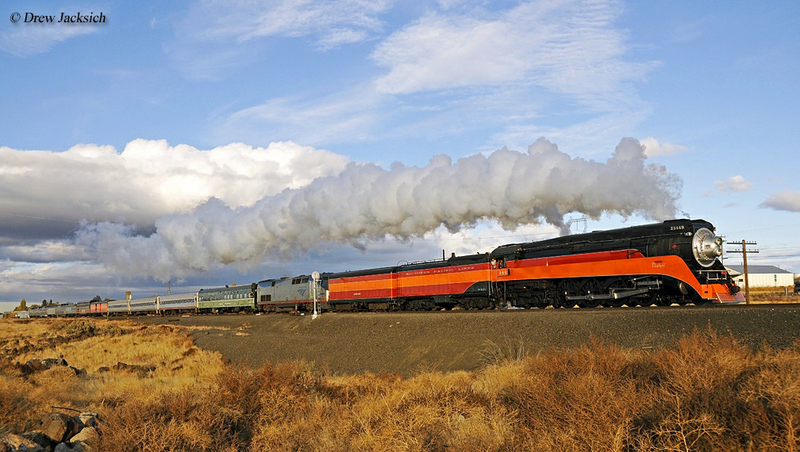 If interested in witnessing historic steam locomotives in action, be sure to stop by the Oregon Coast Scenic Railroad (which maintains four active iron horses!) or the Sumpter Valley Railway. Finally, the Oregon Rail Heritage Center in Portland maintains operational Southern Pacific 4-8-4 #4449 and Spokane, Portland & Seattle 4-8-4 #700. 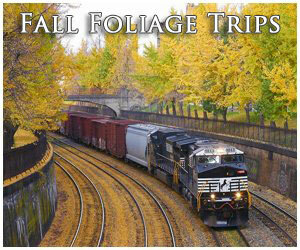 Other train excursions across the state include the Eagle Cap Excursion Train and Willamette Shore Trolley. Please note! 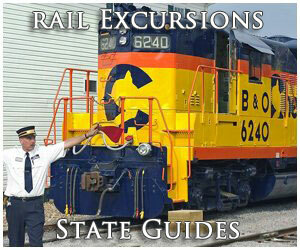 The guide information here pertains only to Oregon train rides related to vacation and tourism destinations. If you are interested in intercity/long distance rail travel please visit Amtrak's website. Oregon's involvement with railroads began seven years prior to the first Transcontinental Railroad's completion (when Union Pacific and Central Pacific met at Promontory Summit, Utah on May 10, 1869) and more than two decades before the Pacific Northwest achieved its own transcontinental connection (following the Northern Pacific's completion in the summer of 1883). According to the book, "American Narrow Gauge Railroads" by Dr. George W. Hilton, mule-powered tram railroads had served the Beaver State in some fashion along the Columbia River since the 1850's. Its first steam-powered operation was the Oregon Portage Railway, which began construction of a 4.5 mile line (including 7 miles of telegraph, as noted in the book, "The Old Oregon Country: A History of Frontier Trade, Transportation and Travel," by Oscar Osburn Winther) along the river's south bank between Tanner Creek and the Cascade Locks in 1858. Built to a gauge of 5 feet, it was initially mule powered when it opened on May 20, 1861. That changed when the little 0-4-0 named, Oregon Pony (manufactured by the Vulcan Locomotive Works in San Francisco in 1861 at a cost of $4,000), debuted about a year later on May 10, 1862. The Oregon Portage Railway property was acquired by Henry Villard's Oregon Railway & Navigation Company (OR&N) in 1880. As Charles R. Wood notes in his book, "The Northern Pacific, Main Street Of The Northwest: A Pictorial History," the OR&N came to dominate trade along the Columbia River, through a combination of steamboats and rail service. His operation proved so successful it never borrowed money to carry out service expansions. Instead, all funds were raised through stock sale at par to stockholders. As the Northern Pacific proceeded westward and neared completion, Villard tried to stop this threat. When he realized he could not, the wealthy businessman purchased control of the railroad in 1881 through a new holding company, the Oregon & Transcontinental Company. The OR&N enabled NP to reach the Pacific Northwest at Tacoma, Washington in 1883 although officials soon realized this arrangement was not practical. In 1884 Villard resigned from the NP presidency and the OR&N was sold to Union Pacific in 1887. To complete a direct Puget Sound link officials began construction on the so-called, 248-mile "Cascade Branch" where grading commenced due west from Pasco, Washington on July 1, 1884. It headed northwesterly away from the Columbia River and carried relatively gentle grades until Ellensburg. Here, it met the formidable Cascade Mountains, which required even more impressive engineering accomplishments. The most spectacular was the tunnel over Garfield Pass, later known as Stampede Pass, which sat at an elevation of 2,852 feet. The bore was 1.8 miles in length and finished on May 27, 1888, thus completing the Cascade Branch. Interestingly, the former Oregon Portage Railway was revived in 1891 when the Oregon Board of Portage Commissioners acquired 3 miles of the right-of-way to construct a 3-foot, narrow-gauge railroad to help finish locks and dam along the Columbia River. It opened in September, 1891 and operated by the Army Corps of Engineers. Despite its success it only remained in use until May, 1896 following the locks and dam completion. Historically, Oregon was predominantly served by the Southern Pacific, whose operations there became famous for the level of difficulty brought about by the rugged topography. 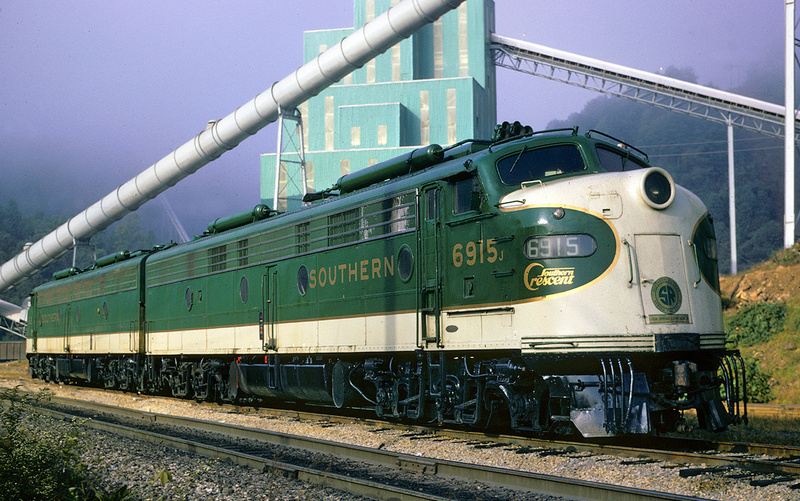 The state's rail mileage peaked at 3,305 in 1920, a number which has since declined to 2,382. Today, many Oregon train rides, like the Mount Hood Railroad, preserve its rail history while providing memorable experiences through scenery and service. 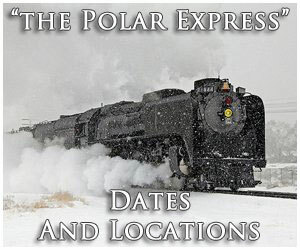 Also, if you are interested in train rides pertaining to specific events, such as "The Polar Express," Halloween, Thomas the Tank Engine excursions, or fall foliage events please visit the main tourist trains section of this website to see where these attractions are held in Oregon. Owned by the Canby Historical Society this museum is situated within the town's restored Southern Pacific depot. Inside are several historic displays to peruse while a caboose is displayed on the grounds nearby. For more information please visit their website. The Eagle Cap Excursion Train, based in Elgin, operates train rides in northeast Oregon on trackage owned by the Wallowa Union Railroad Authority, a short line freight carrier. The trains utilize RDC's (short for "Rail Diesel Cars," a self-propelled vehicle manufactured by the Budd Company) for their excursions that follow the Grande Ronde River. This organization hosts scale-train rides (15 and 24-inch gauge equipment) and is located in Canby. Their season begins each year on Memorial Day. For information please visit their website. Owned and operated by the Southern Oregon Railway Historical Society the park features a "1 1/2-inch scale live steam train rides, HO scale model layout, displays of full size railroad equipment used in the area, a garden railway (G scale) layout and a working exhibit of Morse telegraphy." The Mount Hood Railroad hosts train rides between Hood River and Parkdale (about 60 miles) along a corridor that carriers a heritage dating back to 1906. 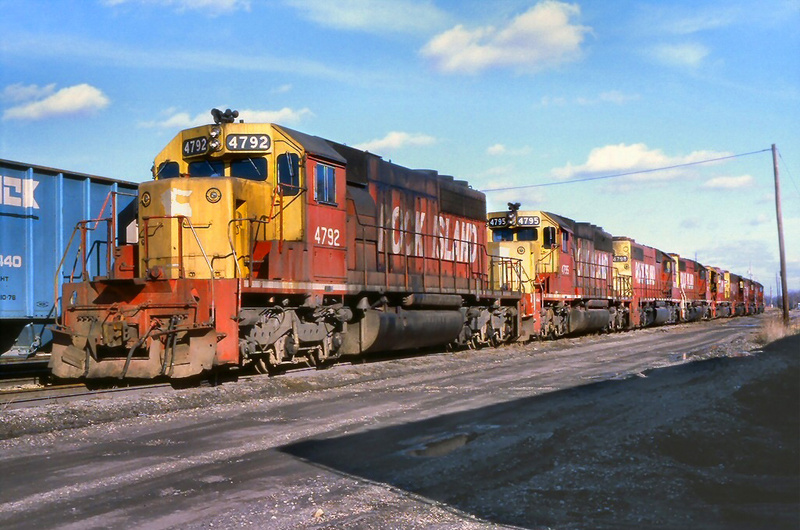 The company currently provides freight service alongside its passenger trains and offers guests a wide range of amenities within climate-controlled cars. This operation is located in Coos Bay with a selection of historic equipment on the grounds to see, much of which was used in the logging industry. The group also owns Coos Bay Lumber Company 2-8-2 #104 and Alco S2 #111, built in 1949 for the Longview, Portland & Northern Railway. For more information please visit their website. 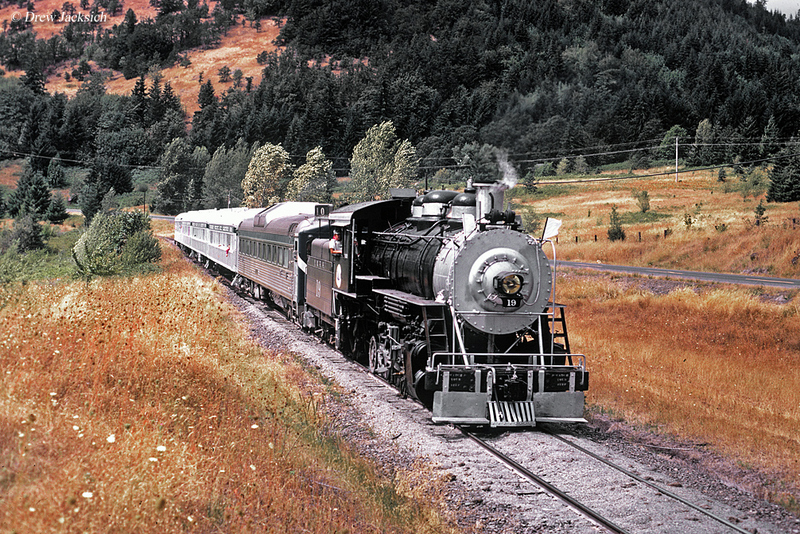 The Oregon Coast Scenic Railroad is based in Tillamook. 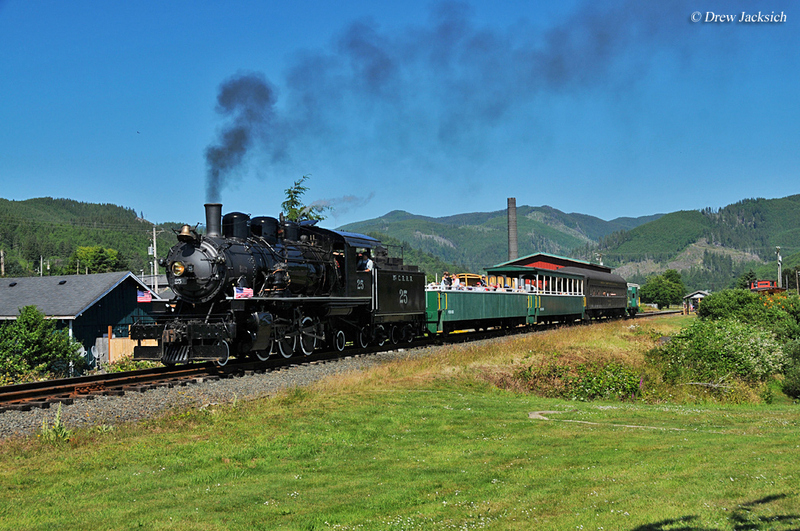 It is one of the state's most popular train rides and has operated on the Port of Tillamook Bay Railroad since 2002 using a historic Climax geared steam locomotive. Along with standard excursion trains the railroad also operates special and seasonal trains throughout the year, including dinner trains. Opened on September 22, 2012 this facility, located in Portland, is the new home of Southern Pacific 4-8-4 #4449 (operational); Spokane, Portland & Seattle 4-8-4 #700 (operational); Oregon Railroad & Navigation 4-6-2 #197; and various other pieces of rolling stock. To visit the museum please visit their website for more information. The Sumpter Valley Railroad, based in Sumpter, is located in northeast Oregon. It operates on trackage originally owned by the Sumpter Valley Railway. 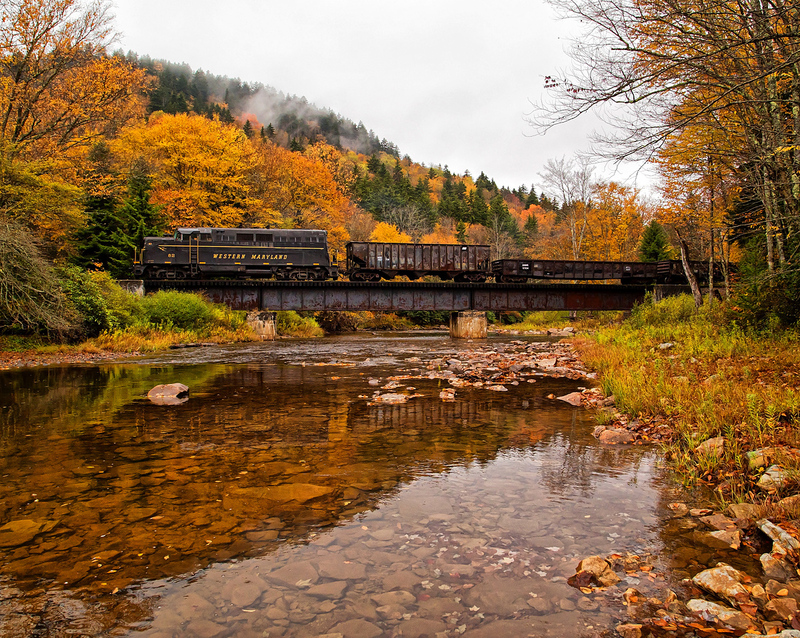 The railroad was created to preserve this corridor and today hosts popular train rides while continually restoring the trackage. They currently have two operational steam locomotives on their property. Located in Portland at Washington Park the railroad is a 2-foot, 6-inch narrow-gauge scale train. It transports visitors between the Oregon Zoo, Hoyt Arboretum, International Rose Test Garden, and the World Forestry Center. For more information please visit their website. The Willamette Shore Trolley is operated by the Oregon Electric Railway Museum, the largest trolley/interurban museum in the Pacific Northwest. It currently operates trolley service on a 6-mile section of railroad between Lake Oswego and Portland.